Being a steelhead junkie isn’t the easiest thing in the world—between tides, weather, river conditions, and the fickle nature of the fish itself, catching a steelhead often feels like a minor miracle. But, now the Vancouver Airport, in tandem with U.S. Customs and Border Protection has implemented an automated customs system with 12 kiosks to assist travelers, including sleep deprived steelheaders. Initially, only American citizens traveling back to the U.S. from YVR can use the kiosks, but Canadian travelers will soon be allowed to use the system as well. It sounds like this should make the back-and-forth for steelheaders and other anglers much easier than it used to be. Getting into and out of Vancouver, British Columbia just got a little easier thanks to 12 new kiosks at the Vancouver Airport that save time when going through customs. That means you can catch flights on Pacific Coastal Airlines and Canada Air, which are great airlines that service most British Columbia, more quickly than you used to. To read the full story check out Business Vancouver. Thanks to Geoff Moore at the Caribou Chilcotin Coast Tourism Associationfor giving Tonic patrons a heads-up on this. 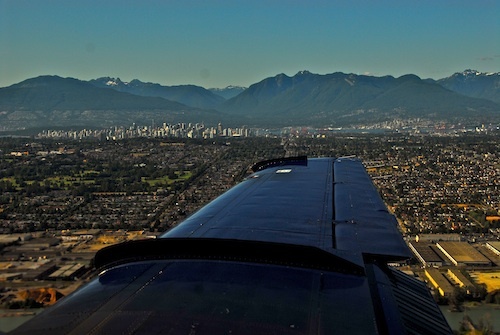 Pacific Coastal Airlines services much of British Columbia from its base in Vancouver. 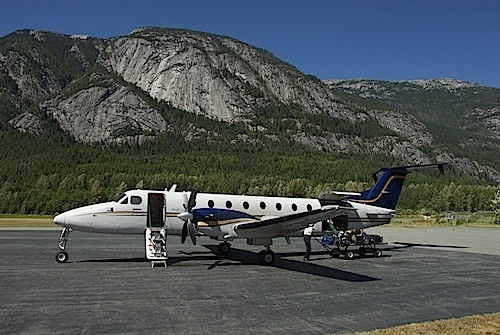 This Pacific Coastal plane is about to carry me and friends out of Bella Coola, British Columbia, after an awesome week on the Dean River for steelhead. This entry was posted in British Columbia, CANADA, Culture, Northwest, Spey and tagged Automated customs system, Customs kiosks in Vancouver airport, fly fishing for steelhead, Vancouver International Airport. Bookmark the permalink.